On September 14, a delegation of Sri Lankan NGOs submitted to the United Nations Office of the High Commissioner for Human Rights (UNOHCHR) a report titled Issues of Truth and Reconciliation: Narrative III – the Last Stages of the War in Sri Lanka. The UNOHCHR, and the Sri Lankan government, have recently began separate probes into alleged human rights abuses committed during the period 2006-2009, one of the bloodiest in Sri Lanka’s 26 year civil war. The Narrative III report states that there are a number of different accounts of the last phase of the civil war – including documented data from the Sri Lankan military, international NGOs such as Human Rights watch – among others, and eyewitness accounts collected by the Jaffna University Teachers for Human Rights. Narrative III was published in the Sri Lankan capital Colombo, New Delhi, and Geneva and is expected to be taken to New York, DC, Brussels, London and, Pretoria. In Geneva, as in Colombo where the authors met the Commission on Disappearances, they made a presentation to the chief coordinator of the UN investigative team Sandra Beidas. They also met several Permanent Representatives of BRICS Member States of the Human Rights Council. The report’s co-author Jeevan Thiagarajah, the chairman of Sri Lankan NGO the Institute for Human Rights, and the Executive Director of the Consortium of Humanitarian Agencies, believes these different accounts must be considered as a third alternative approach other than the government’s and the UN’s. The report also urged International Humanitarian Law statutes to consider the context of extraordinary circumstances during this period. The Sri Lankan civil war ended in a decisive military victory over the secessionist Liberation Tigers of Tamil Eelam (LTTE) in May 2009, but not before the conflict killed tens of thousands of people. The LTTE who described themselves as the ‘sole representatives’ of the Tamil people, waged a bloody 26-year war against the Sri Lankan state with the avowed aim of establishing an independent Tamil state in the North and West of the country. The LTTE projected the war as a confrontation between two nations; the struggle of an oppressed people to assert their right to self-determination. Sri Lanka’s civil war went through several phases: The Eelam Wars I (1983-1987), II (1990-1994), III (1995-2002) and IV (2006-2009). Although these periods were interspersed with times of relative calm, the wars were preceded by other forms of violence including assassinations, riots, suicide attacks and killings of civilians. Periods of ‘peace’ were frequently characterized by high levels of violence. Since the end of the conflict five years ago, there have been calls in the international community to launch a probe into alleged human rights violations committed by the warring parties. In late March, the UN Human Rights Council passed a resolution calling for a “comprehensive investigation into alleged serious violations and abuses of human rights” and urged the UN Office of the High Commissioner for Human Rights to carry out the investigation. The Sri Lankan government has launched its own probe. The BRICS Post recently interviewed Jeevan Thiagarajah about the report submitted by Sri Lankan NGOs to the UNOHCHR. 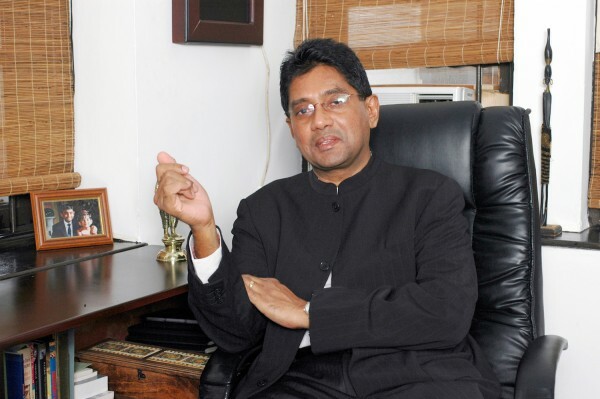 The BRICS Post: Why did you feel the need for a third narrative on the Sri Lanka war? Jeevan Thiagarajah: Recent debates and resolutions in Geneva have been initiated to take up the position that the allegations against the government in the last phase [of the civil war] and the army should be investigated. They also say that the government must have a credible domestic process of investigating crimes. The reports that have received most attention are the two – a panel appointed by the UN Secretary General (UNSG) and a commission appointed by the Government of Sri Lanka (GoSL) – the Lessons Learnt and Reconciliation Commission (LLRC). They present two sharply contrasting irreconcilable narratives of the last phase of the war against the LTTE. A wise judge knows that in the imperfect domain of human knowledge there are many versions of the truth and steers himself conscientiously through all these versions, seeking the truth. The Third Narrative frames and steers through the many versions of the truth presented by writings in the public domain whilst placing events of the war in the context of the battles that were fought. In a chapter on the accountability of the government and Sri Lanka’s armed Forces you have said, the primary aim of the notion of accountability in the conduct of hostilities is to protect civilians. How do you reconcile the staggering numbers of civilian casualties and global reports of exhumation of bodies from mass graves in a bid to hide evidence of the mass killings? 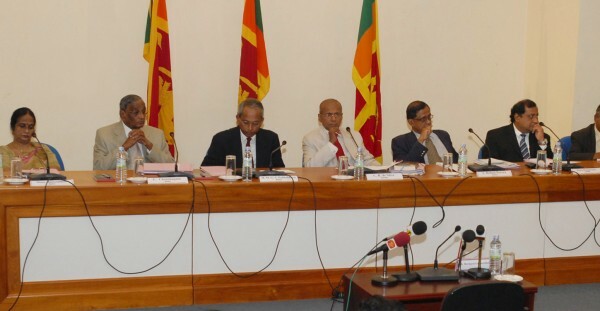 Do you finally hold the Sri Lankan government responsible? The Department of Census and Statistics (DCS) conducted the Enumeration of Vital Events (EVE)-20 with a mapping of each and every household and a subsequent check of untraceable members for each of them and found 8649 deaths due to non-natural causes being reported. These include LTTE combatants. The distinction between combatants and civilians lies at the heart of regulating the conduct of hostilities and balancing principles of humanity and military imperatives. In February 2009, Japan, USA, EU, and Norway (Co-Chairs of the Peace Process) and the UN had understood ‘distinction’ had ceased, which meant civilians were hostage, and surrender by LTTE was essential. In this context of ever shrinking physical terrain – where artillery and firepower were co-mingling with close on 290,000 civilians, placed by the LTTE, firing at advancing troops – the charge of unlawfully killing civilians cannot be directed at the Sri Lankan government. In your account of the final stages of the war, you raised serious questions about the UN’s decision-making and probe mechanisms. Can you dwell on the institutional culture of trade-offs which you alleged in your report? The UN, like the countries who supported a negotiated settlement, were caught between taking a position against the LTTE on principle, and retaining the goodwill of the LTTE for a larger negotiated end. The LTTE capitalized on this in the unlawful conscription of children for combat and in the final stages holding the entire civilian population hostage to compel the UN and international community to force a truce. Protection was therefore compromised. The Office of the UN Humanitarian Coordinator needs to introspect on the failure of their mandate. How do you view the role and reaction of BRICS countries to the March 2014 UNHRC resolution vote calling for an international investigation into alleged war crimes in Sri Lanka? Russia and China sought time and space, India sought meaningful power-sharing and a credible domestic process without an intrusive international mechanism, and South Africa appealed for space for Sri Lankans to find each other. Brazil voted yes to the resolution. Why do you think the Sri Lankan government’s strategy of encouraging civilians to move into govt-controlled territory was unconvincing? The LTTE was using civilians as hostages and their movements were no longer free. They were not going to be released without a price, such as a halt to military operations by government forces, or opening channels for civilians to flee. But opening channels for civilians to flee would have meant that government forces, civilian hostages and those holding them would have all incurred casualties. How do you think this logjam over charges and counter-charges between the Sri Lankan government and international human rights agencies can be resolved? The charges of systematic and widespread targeting of civilians by government forces have to be met head on, and incidents of potential excesses caused by individual actions have to be looked into credibly. The government’s efforts at reconciliation and restorative justice have to be met by the principle political party representing Tamils who need to find a modality to account for perceived crimes and excesses amongst the Tamil community and against others. Sri Lanka’s civil war which started in 1983 and went through several phases that were interspersed by failed peace efforts is commonly divided into Eelam wars I (1983-1987), II (1990-1994), III (1995-2002) and IV (2006-2009). Therefore, focusing entirely on the last phase – as these international probes intend to do – is a mistake since it’s a final cumulative outcome . The Sri Lankan conflict is a tragic story of exclusivist identity politics, deep- rooted party rivalries, grave imbalances in the sharing of political power and repeated failures of efforts at resolution and mediation. The political leaders of the time experimented with various political and administrative arrangements. The older generation of democratic Tamil politicians lost their legitimacy in the eyes of a new generation of Tamil youth rebels and student revolutionaries. Their historic Vaddukoddai resolution of 1976 called for a separate state. Uncovering the truth in term of political responsibility would imply all parties acknowledging their share of the responsibility for what happened, learning from the lessons of the past and moving forward to a durable process of peace and reconciliation. The role of the UN and international community has to be included in this process of introspection. In early January 2009, the Norwegian Ambassador conveyed a government offer of amnesty to all LTTE cadres bar the leader and head of intelligence, but this was rejected. in early February 2009, the UN had was aware fighting would last weeks, so they sought a new No Fire Zone whilst contemplating air-dropping food off the thin remaining coastal strip where fighting had subsided. 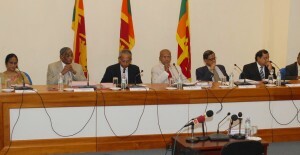 On February 19, another government effort also urged the LTTE to lay down arms and release civilians. We are then left with the human cost of the war that was fought. It is within the conditions that have been described above that the issues of accountability as well as restorative justice may have to be framed and conclusions drawn. Operational paragraph 10 of the March 2014 UNHRC resolution will have move over to allow Sri Lankans ‘to find each other’. In that process the victims of the war have to be at the centre. The concern and focus advocated by the writers is that it must always be on the human tragedy.